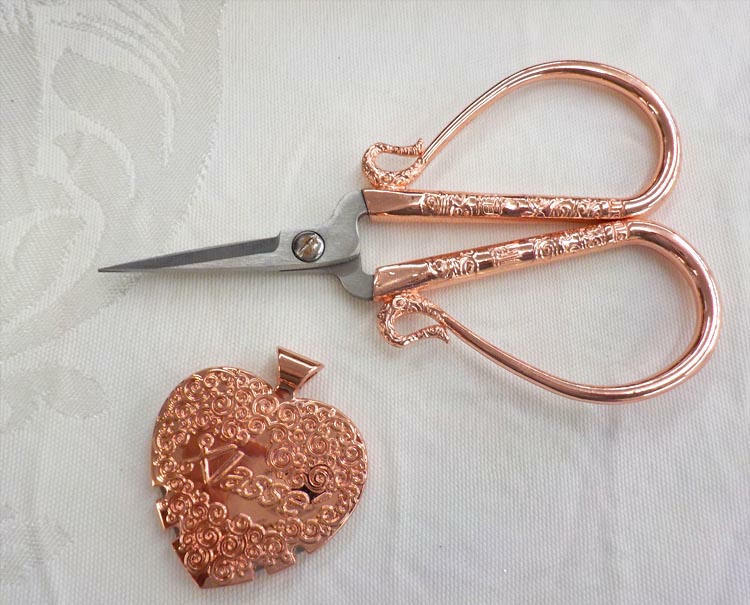 Rose Gold Embroidery scissors and thread cutter...large loop, sharp. These pretty scissors are the perfect accessory to any crafter's sewing box. 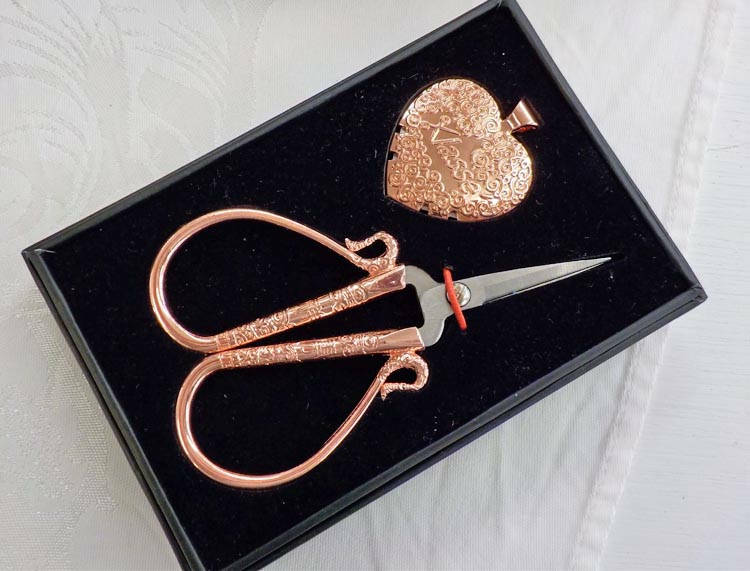 Rose Gold Scissors and Thread Cutter will arrive in a black gift box making it the perfect stocking stuffer, hostess gift, secret sister present, or something special for yourself!